Nice place, great people... they know me well . Wouldn’t store with anyone else.. short or long term ... just fantastic. Hello Stephen, thanks for the positive feedback! We're always happy to hear good things from our customers. Disgusting service management is rude and aggorant, very messy old junk laying around everywhere . Very expensive keep stuffing up the bill. Glad to be out of there, never again go to another storage king . Too expensive not helpful we rented small unit for $190 per month after 6 months went up to $210 looked around found better quality units bigger just one suburb over for $120 per month. Bit pricey but the guys who work here are champs. went above and beyond to get us the best price he could provide and walked around with me to 3 different sized options for storage space. I pay in person most weeks and Brad is always friendly and seems to be a overall decent bloke. Great Staff. Very helpful and accomodating to our requirements. Fantastic facility. We've been storing at Storage King Acacia Ridge for over a year and already considering relocating somewhere else. This facility is Unsafe, Unsecure and very incompetent staff. Perfect location to carry on doggy business or Drug dealings as security is very poor. Any one who have access can break into someone else's unit as there is not control on behalf of staff, got our unit ransacked and property stolen and Storage King declined any responsibility for what we lost, with no insurance policy to claim from. 24/7 access should be stopped and restricted to 10 pm regardless, Night time is when criminals are more active, therefore, normal honest customers won't need to access their units overnight. Expensive and unorganized facilities. Also bear in mind that they will increase your storage fees every month. Will Never recommend it to anybody. 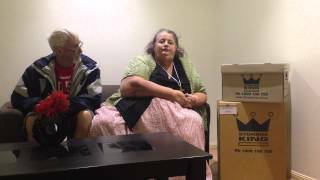 My partner and I have been using Storage King Acacia Ridge for about a year now and we must remark that Emily In the office has been nothing but helpful and a pleasure to deal with. Would definitely reccomend to my friends and family. The service was excellent, lucky there were open on Saturday to provide me a storage I needed urgently. Friendly staff, explaining all the details clearly for a first time user as myself. Would recommend it to everyone. Don't imagine that there is any security. My unit was broken into and everything of value stolen. They "couldn't find" the relevant security camera footage. The insurance you pay for isn't worth a cent as they never have claim forms in the office and never mailed me one either. Any time you have to visit the office you had better have an hour to spare as they leave one poor soul in there to deal with everything so there is always a queue. -Constant mess ups with calculating the fees -payment up to date been working away only time I'm able to come I'm still locked out after being told access is available. -change of staff and lack of care towards your situation. Overall been a customer here on and off for past 18 months + will be looking for other options as of this moment Very disappointed. Not to mention after hrs contact is not contactable. Way to go storage king.!!! Hi Jamie, We’re saddened to hear about your experience, especially if there has been any misunderstanding of when payment is required for your storage space. We charge in advance, meaning that you pre-pay for the next storage billing period. I’ve asked our store manager Craig to give you a call to discuss, so he will be in contact with you next week to assist you where he can, or alternatively feel free to give the store a call on 07 3272 2333. Excellent service here!!! Wayne and Heather are awesome - I needed a storage solution fast and they were able to match me with something that ticked all the boxes straight away. Easy to find and convenient opening hours. I will definitely be returning here! Welcome to Storage King Acacia Ridge. 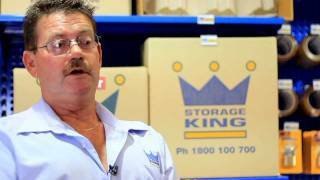 Storage King Acacia Ridge proudly services Sunnybank Hills, Algester, Sunnybank, Pallara, Willawong, Coopers Plains, Archerfield, Runcorn, Calamvale and Eight Mile Plains.